Researchers at the U.S. Department of Energy’s (DOE) Argonne National Laboratory are combining nanodiamonds with two-dimensional molybdenum disulfide layers and breaking them to create a self-generating, very-low-friction dry lubricant that lasts so long it could almost be confused with forever. The substance could have hundreds of industrial applications and can be used virtually wherever two pieces of metal rub together in dry conditions. The most commonly used solid lubricants on the market today take the form of graphite paste. We use these lubricants to grease doorknobs and bike chains, among other things. In 2015, Anirudha Sumant of the Nanoscience and Technology division and his colleagues achieved a breakthrough in solid lubrication technology by demonstrating superlubricity (near-zero friction) at engineering scale for the first time by using graphene combined with nanodiamonds. This approach was revolutionary, and since then his group has continued to further develop the technology. Most recently, Sumant replaced the graphene in the process with molybdenum disulfide, to see how other 2-D materials would behave. He was expecting the process to resemble the one observed with graphene-nanodiamond lubricant. However, the team was surprised when Diana Berman, the lead author and Argonne post-doctoral fellow, couldn’t see nanodiamonds in the material. Instead, she found balls of onion-like carbon. What was happening? The molybdenum disulfide was breaking up into molybdenum and sulfur and reacting with the nanodiamonds to convert them into onion-like carbon. “We knew that the culprit must be sulfur damaging the nanodiamonds, but for us it actually helps,” Sumant said. 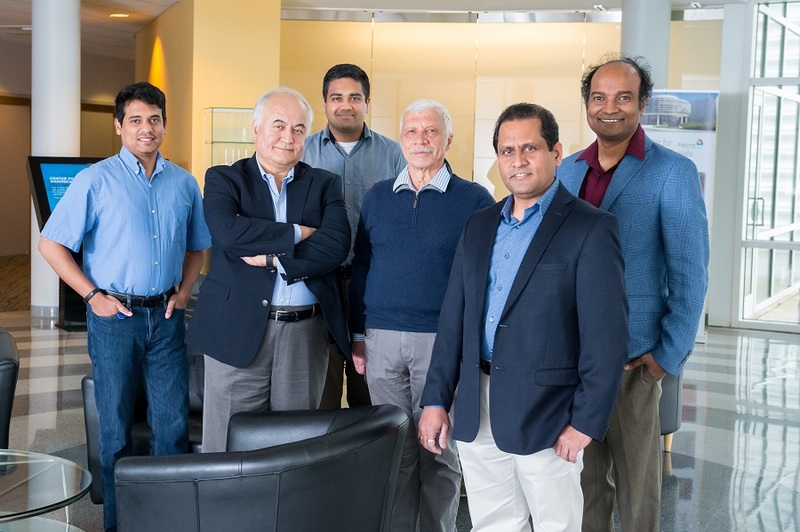 This was a blessing in disguise, said Sankaranarayanan, since their efforts also unlocked another secret of how other 2-D materials will interact with nanodiamonds with the same result. The friction in this new combination is 10 times lower than that of some nonstick coatings including fluoropolymers, which means less heat and less wear and tear on parts and equipment. “It’s interesting to see that these carbon balls can sustain high contact pressure and, due to their unique nanostructure, can glide easily, creating the superlubricity,” said Ali Erdemir, Argonne Distinguished Fellow and collaborator in this study. “We have now figured out how to generate lubricants during sliding that can last much longer than any other solid lubricants,” Sumant said. While molybdenum disulfide is a bit more expensive than graphene, less is needed in this process. “The amount is so small — a few drops for kilometers of sliding — that cost is not an issue,” Sumant said. The dry lubrication method is also much cleaner for use because there are no hazardous chemicals getting thrown away in this process, he added. Dry lubricants are already common in several industries. However, they are mostly used for thin-film coatings and are prone to catastrophic failure modes. The Argonne-developed superlubricant works very differently from traditional thin-film coatings. The self-generating lubricant readjusts itself continuously, so it lasts longer. “This really represents the next generation of solid lubricant,” Sumant said. The potential applications include bearings and mechanical pump seals in dry applications as well as in wind turbines. The technology could also be used in the computer industry; specifically, in magnetic disc drives. Argonne already has three patents on the superlubricity technology, with a patent pending on this breakthrough, which will soon be available for licensing. Sumant and Erdemir co-wrote a recent review in ACS Nano on the most current superlubricity technologies and discoveries within the field. This guidepost article may be the first to summarize the current state of global research on superlubricity using two-dimensional materials such as graphene, hexagonal boron nitride and molybdenum disulfide. The scientists used the Center for Nanoscale Materials and the Argonne Leadership Computing Facility, both DOE Office of Science User Facilities, in their work. The DOE Office of Science sponsored the research. Resources from the National Energy Research Scientific Computing Center, supported by the DOE Office of Science, and the tribological test facilities of Argonne’s Energy Systems division also supported the work.